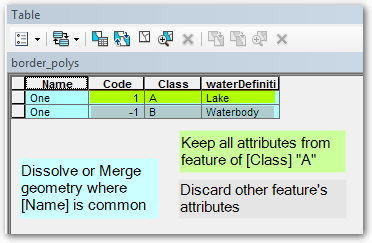 How to automatically merge polygons sharing a common boundary, keeping all attributes from class “A” features? choose Class “A” to be the parent/master feature. Dissolve on the common field, Name. We lose all other attributes but that’s ok as it’s only the geometry we’ll keep from this step. 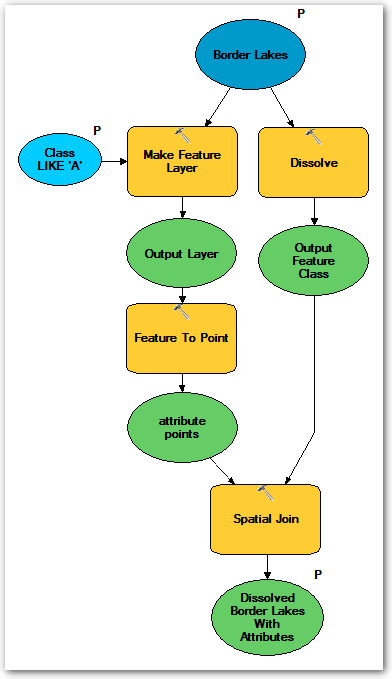 Collect the attributes we want and make them portable with Make Feature Layer (or a Definition Query or interactive selection or …) and Feature to Points. Make sure to select INSIDE so the points are always inside the polygons. 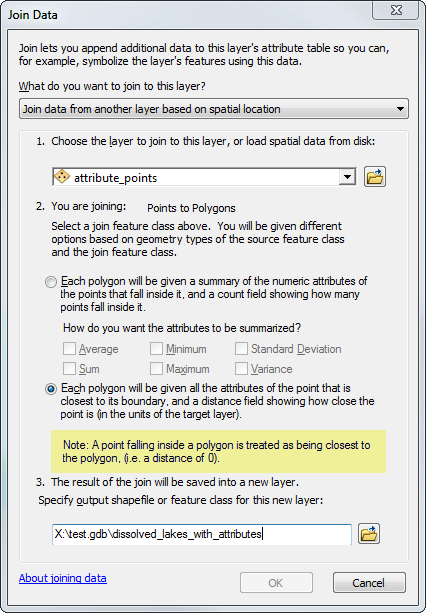 Transfer the attributes from the points to the empty polygons with Spatial Join, use Match Option CLOSEST. One to one and One to Many don’t seem to differ for the data I’m working with. 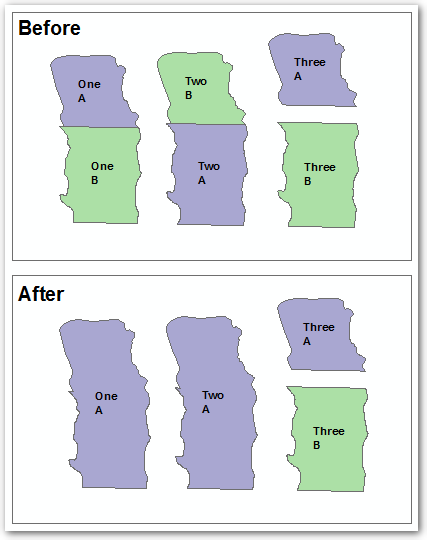 Spatial Join in step 3 is where I went wrong at first and ended up with null attributes or other unwanted combinations. I was choosing HAVE_THEIR_CENTER_IN and WITHIN. It was the interactive Spatial Join from the ArcMap table of contents, with it’s different wording from the geoprocessing tool, that gave me the final clue. I suspect it possible to use spatial join without using the point file intermediary, but wasn’t successful with our data. Having something that works is good enough for now; I’ll leave further optimization for others.